Apologies if you've seen or heard about this camera already but it's new to me, courtesy of TOD contributor David M. in an email. 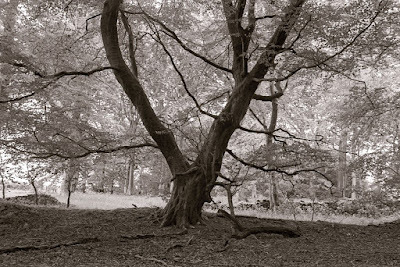 It's a plywood large format affair that is expected to sell at £129 minus lens which, if you're familiar with the cost of new 5x4 cameras that aren't pinholes, you'll quickly realise is something of a steal. The firm behind it, the Intrepid Camera Company, launched a Kickstarter project just over a fortnight ago that has already almost doubled its £27,000 target with two weeks still to go. There's every chance, then, that the Intrepid will make it to the marketplace, leaving those who have been scared off from LF photography in the past because of the high start-up costs with no excuse not to try their hand. 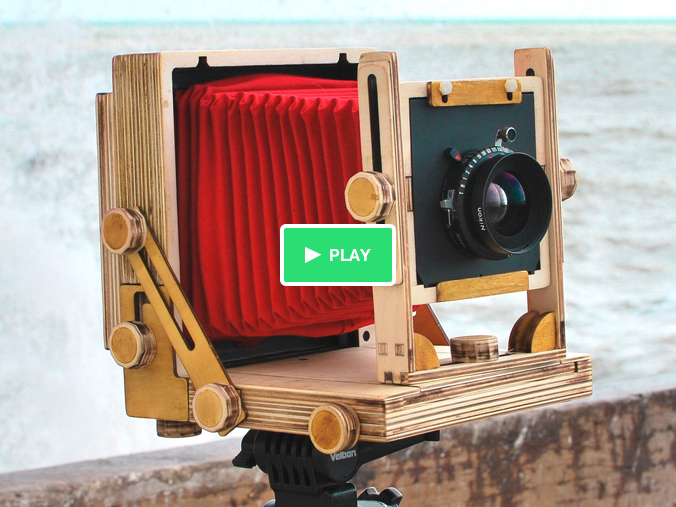 The Intrepid is a simple camera that uses plywood - an excellent choice because of its stiffness and resistance to warping - to replicate most of the functions of those cameras that easily costs hundreds of pounds - and in some cases, thousands of pounds - more. All you have to do is add a lens and slip a double dark slide loaded with your favourite emulsion in the back and you're ready to go. The camera weighs a little over 2lbs so is easily carried up hill and down dale. It also packs away in a convenient fashion which the video above shows. There's still plenty of time left to contribute to the Intrepid Kickstarter project so if you have any loose change left after the Ferrania fundraiser, you might want to consider it. Here's the Intrepid's Kickstarter page. If they use the extra Kickstarter money to include a graflock back, then the camera would be an excellent starter camera. My first 4X5 was a Bender, which was a kit camera (you put it together). Eventually it was replaced with a Shen-Hao which I still use. As far as price, a good lens in working shutter will probably match the cost of the camera. I wonder what the bellows are like at that price? And the stability - should be OK though if they've used marine-grade ply - good luck to them. Better stock up on s/h DDS's now though!